FREE airport transfer, FREE breakfast, 5 minute walk to CBD, Swimming Pool, Award Winning Hostel. 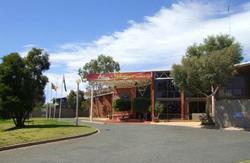 The welcoming award winning Haven Backpackers Resort is a 3 star Alice Springs accommodation that is ideal for budget leisure travelers and backpackers. Situated only a short walk from the center of Alice Springs and offering excellent amenities, Haven Backpackers Resort is an ideal place to stay for a great price. Guests at Haven Backpackers Resort will appreciate the outdoor swimming pool and outdoor cooking area with BBQ, TV, and patio seating. The property also features shared kitchen facilities as well as a TV lounge and laundry room. Convenient shuttle service to and from the airport or bus and train stations is also available. 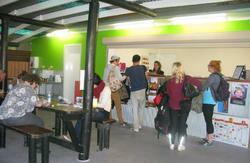 The Haven Backpackers Resort is within walking distance of nightlife venues , cafes, and shopping. There is no shortage of fun outdoor tours and adventures for guests to enjoy. A small sample of the activities includes camel rides, hot air balloon rides, trekking through the Outback , or a trip to the spectacular rock formations of Uluru . Driving stay on the Stuart Highway till you reach the 4 sets of traffic lights turn onto Larapinta Drive. Haven is situated on the left hand side 300 metres after the traffic lights.